In a sunny Innsbruck, waiting for the finish of the 5th stage of the Tour of the Alps, there was space also for remembrance and emotion. To the Tyrolean capital and the Tour of the Alps are bound the memories of Michele Scarponi, who won there the first stage of the 2017 Euroregional race, before clashing with a tragic fate a few days later, on his home roads. 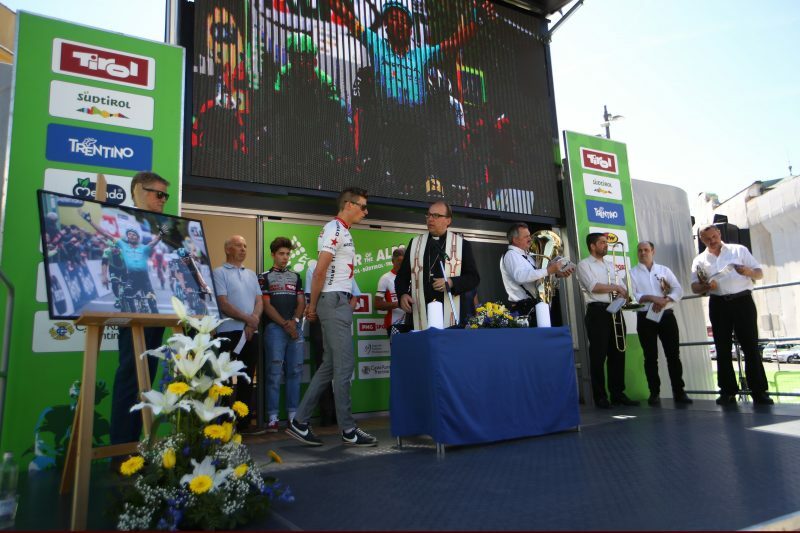 In Innsbruck, the Tour of the Alps dedicated to Michele a commemoration, celebrated on the finishing line of the 5th stage (Rattenberg-Innsbruck, 164,2 km) by Tyrol’s bishop Hermann Gletter, with the participation of Michele’s parents, Giacomo e Flavia Scarponi.